Have you ever sat down in the studio to create, and felt completely paralyzed by the number of decisions you had to make? In fact, no matter what kind of creator you are, a blank canvas (or a blank anything) can be incredibly daunting. Just like putting on your tennis shoes and driving to the gym is often the hardest part of a workout, getting started on a new piece of art is often the most difficult part of the whole process. Fortunately, there’s an easy way to overcome the obstacle of the blank page. Just a month ago you may have logged onto Twitter or Instagram and been inundated with ink drawings by artists across the spectrum of styles and skill levels. They were taking part in #Inktober, a yearly art challenge that invites artists to create a new ink drawing every day for the entire month of October. They provide a list of single word prompts for each day , although not every artist uses the prompt list. Some choose to follow their own theme or be spontaneous each day. Part of the difficulty with starting a new project is all the decision-making. Have you heard of decision fatigue? It’s a thing, and you’ve probably felt it at the supermarket when all you need is salad dressed, but you have to choose between 47 different varieties. It’s exhausting! Having to decide what to draw (or paint, or sculpt), what size to work in, what medium to use, how many pieces to make, can be so paralyzing that it’s difficult to get started. After all, what if you make the wrong choice? By the time you’ve settled, you may feel too mentally fatigued to focus all your energy on creating. The constraints of an art challenge remove some, if not all, of the decisions you would normally need to make. #Inktober provides the medium (ink), the quantity of pieces (31) and prompts for each day. Less time making decisions = more time making art! Internet art challenges almost always include a hashtag so you can tag your work and share it with everyone else participating. It’s fun and inspiring to see what other artists are doing within the challenge constraints. Its also a nice experience to participate in a large-scale activity with lots of other artists, and sharing that you’re participating and then posting your work regularly helps you stay accountable. Using a popular art challenge hashtag like #inktober can even earn you new followers. Though you may decide to participate in an art challenge simply for fun or as a warm up exercise, you may be surprised at what comes out. 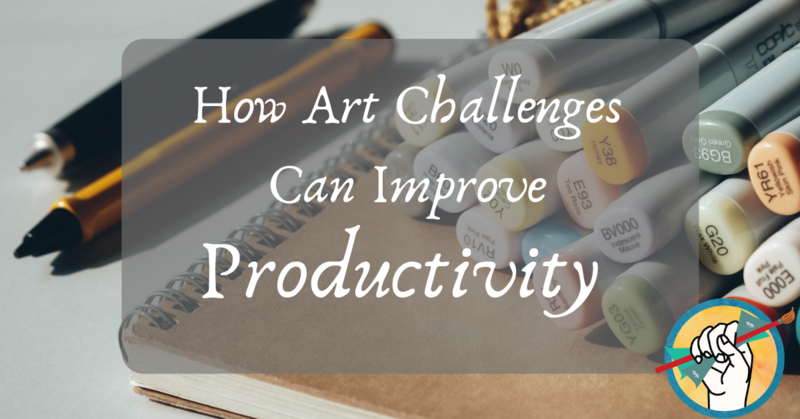 Many artists hang on to their challenge pieces and use those ideas later to fuel fully-realized projects, whether a series of paintings or a graphic novel. Instagram challenges– here is a list of Instagram challenges you can use to inspire your art making. Use the hashtags to reach new eyes! A Year of Creative Habits – Crystal Moody created art every day for 3 years and wrote about it. She also has a Facebook group you can join. We interviewed Crystal Moody here. DailyPaintworks.com – if you want to try your hand at posting daily paintings for sale. Have you ever participated in an art challenge? What did you learn from the experience? I’m doing my own 100 paintings in 100 days challenge. The paintings are mostly 5” x 7”, so are pretty quick. The challenge part is that I was pretty loud in my self-promotion, so I felt I really had to actually do it. The benefits have been two-fold. One is that my painting has gotten better- no small thing in and of itself. The other is that I’ve gotten PR from two local magazines and will be on the cover of one in January. The challenge has been a lot of work. 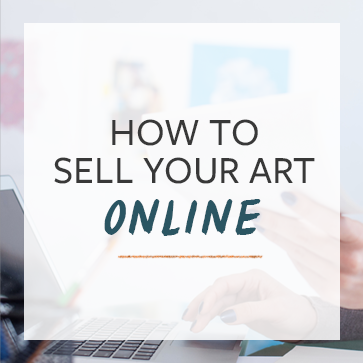 Not only is there the art creation itself, I also promote each day’s work on LinkedIn, Facebook and Instagram and I send a daily email to a very short list and a recap email every week or two to a much larger list. It’s worth it though – I was traveling over Thanksgiving week and so didn’t send the daily emails. When I resumed with a brief explanation, one person emailed back that she’d wondered what had happened to me. When I run into people I know, they frequently comment how much they enjoy seeing my work. Bottom line, it’s also resulted in a few sales.